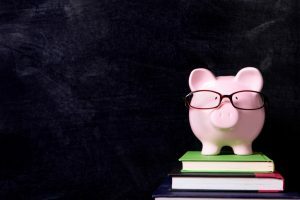 Many subjects are covered in school, but one important subject is often not mentioned at all–money management. Some people think that good money management is just common sense, but it really is something that needs to be learned and practiced. Some people think that good money management is just common sense, but it really is something that needs to be learned and practiced. If you feel like you could use some extra help when it comes to money management, Omni Financial® is here for you. We offer free Out of Hock & Out of Debt classes that will teach you the essential skills you need to reach your financial goals. Out of Hock & Out of Debt is an in-person 30-minute financial literacy class held at Omni Financial® branch locations around the country. The educational sessions are led by Omni’s highly-trained managers, many whom are career retired service members. As veterans, they understand that service members like you have to deal with challenging situations that can negatively affect financial circumstances. The Out of Hock & Out of Debt class is designed to help you get a handle on your bills, minimize debt, maximize your credit score, and build up your savings. The Out of Hock & Out of Debt class is a non-judgmental, interactive session where you will learn what you need to do to improve your short-term financial situation and establish a foundation for long-term financial stability. At Omni Financial® we are committed to helping our nation’s military. Contact your local Omni branch office for more information about our Out of Hock & Out of Debt class or to find out the class schedule near your base. We hope that you will take advantage of this opportunity to increase your financial knowledge!